Mixed Company Theatre (MCT) produces innovative, socially relevant drama as a tool for positive change. Founded as an artist-run collective in 1983, Mixed Company Theatre develops Forum Theatre and interactive arts in collaboration with schools, communities, and workplaces. Ontario, some out-of-province initiatives as well as international projects as grants and sponsorship allow. Josh is a jokester who creeps his classmates on Facebook. Life is good until somebody starts an anonymous social media campaign against him. Josh finds it difficult to deal with the embarrassment and humiliation. Suddenly day-to-day stresses of family life and school start to overwhelm Josh, as he wrestles with his growing anxiety. Through open and supportive facilitation, this play leads students to discuss what Josh and others in the play can do to deal with anxiety. Teesha struggles with social pressures and the influences of her peers – like her childhood friend, Kim who likes to party, and Eric, a new romantic interest. One evening, at a party, impaired judgment and miscommunication result in unwanted and tragic circumstances. Mixed Messages uses Forum Theatre to address issues of drugs, alcohol and sexual consent and assault. The Facilitator asks students to discuss what could have been said or done differently to make clearer choices and allow someone to find their voice in uncomfortable situations. Mixed Company Theatre, in partnership with Scadding Court Community Center will begin working with the First Nation’s Senior Community this fall. Through interactive theatre and community arts activities, participants will explore multicultural and intergenerational stories, issues and concerns culminating into a public presentation open to the public on Oct 6th 2015. 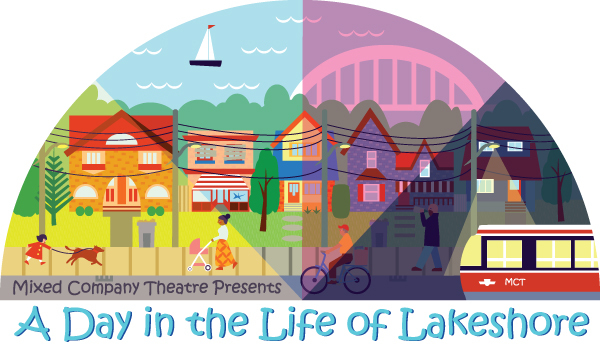 Mixed Company Theatre in partnership with Mimico Public Library will create a multi-disciplinary performance, which will shed light on this eclectic neighborhood. This project will bridge the gap between youth and seniors and focus on inter-cultural and inter-generational stories, issues, and concerns. Collaborating with Lakeshore Arts’ YAM youth group, LAMP CHC’s South Etobicoke Youth Assembly (SEYA), and local Senior Centers, this performance piece will be based on a 24-hour snapshot of the area. Through community workshops on storytelling, puppetry, poetry, song and movement, we will create in a community arts play and invite the neighbourhood to be a part of the performance. With the support of the Trillium Foundation, MCT’s is entering its second year in building a three year Inter-GEN program. Continuing our work within two separate communities at Lambton House and Urban Arts in Weston/Mount Dennis, and Scadding Court Community Center in Alexandra Park/Chinatown, we will host a series of in-depth workshops with teens and seniors to create two full length productions in a Toronto Theatre venue in December 2016. In late spring 2016, MCT will look for the community’s input by hosting public readings of the script in development. MCT’s mandate is to reach audiences, educating, engaging, and empowering them to learn, recognize and use the power of Forum Theatre as a tool to effect positive social change in their communities. Mixed Company Theatre reaches out to a broad demographic base from children, youth, adults, and seniors. Mixed Company Theatre connects with and tours to all educational institutions (elementary, secondary, post-secondary, continuing education and vocational schools). In addition, MCT serves community organizations, government agencies, unions, and corporations with professional development workshops, innovative theatre projects and training programs. “Led by Simon Malbogat, co-founder and Artistic Director, a broad range of established and diverse theatre professionals are engaged to create touring productions and community animations. Mixed Company Theatre develops workshops and presents original Forum Theatre focusing on educational and community issues for local, regional, national and international audiences. Among the organizations Mixed Company has partnered with are: Amnesty International, National Crime Prevention Centre, Canadian Red Cross and The Banff Centre. Recognized by UNESCO as a tool for social change, Forum Theatre is an interactive approach that involves the audience in developing real-time strategies for dealing with social and personal issues. The late Nobel Peace Prize Nominee, Augusto Boal, activist and founder of Theatre of the Oppressed, in 1991 appointed Mixed Company as the first official Forum Theatre Centre in Canada. Awards and citations for civic engagement and artistic excellence include the Mayor’s Award for the Arts, a Safe City Award, The Pauline Julienne Award, Dora Mavor Moore Award nominations, Community Arts Ontario Best Practices Award and The Montreal Gazette’s Best New Play Award. 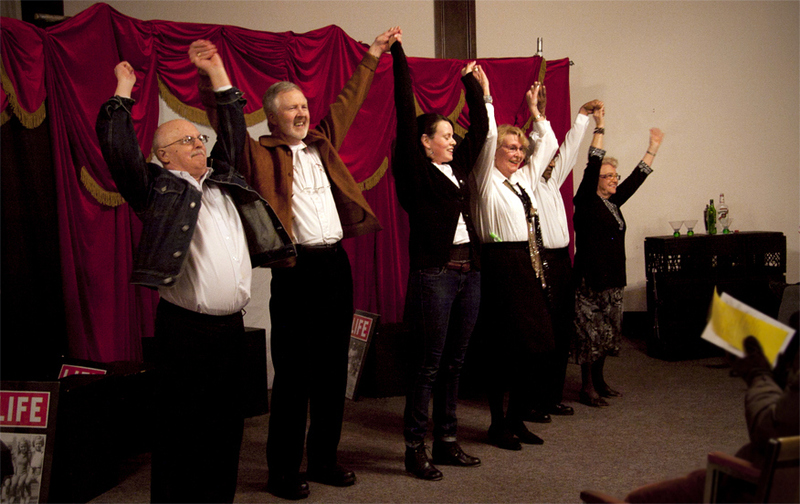 More than 100 Forum Theatre productions have been developed for people of all ages and backgrounds, spotlighting issues of diversity, family relationships, peer pressure, sexual and mental health (including STI and HIV under the City of Toronto’s Public Health), racism, homelessness, leadership, drug and alcohol abuse, and violence. MCT has toured internationally, facilitating Forum Theatre projects from Helsinki to Kiev, Istanbul to Rio de Janeiro. 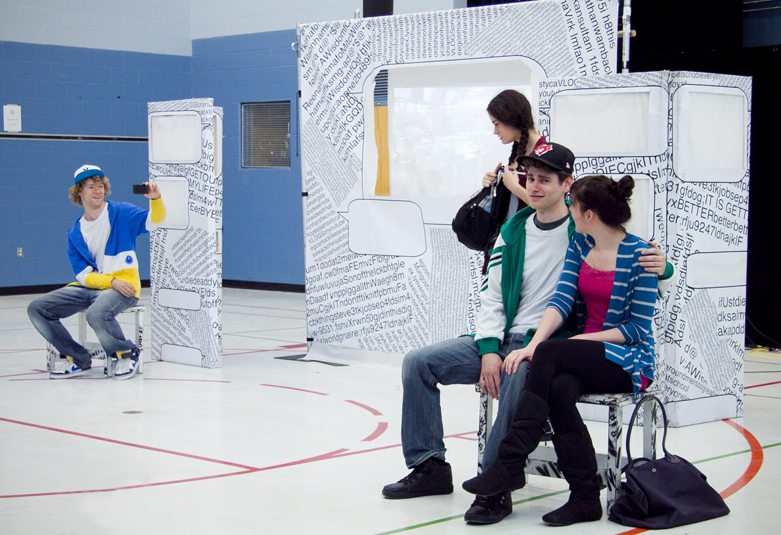 We offer anti-bullying workshops in french, we have also had french issue based plays tour to schools across Ontario.